搶先看:2018-19 Upper Deck Ice Hockey - 球員卡相關消息區 - 育盛球員卡(球星卡)及各類運動討論區 - Powered by Discuz! 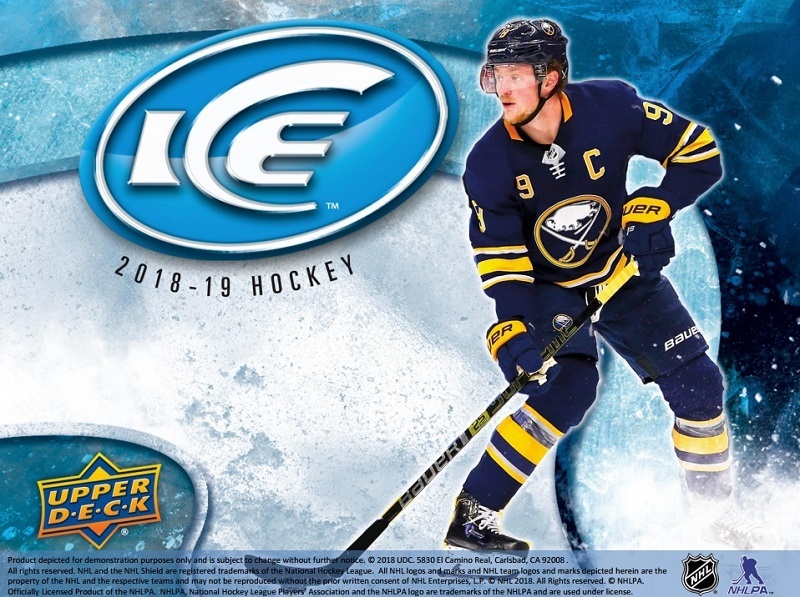 The picture is clear with 2018-19 Upper Deck Ice Hockey. Or rather, the cards themselves are. The acetate brand returns with its distinct take on hockey cards. Boxes have a few guarantees, starting with an on-card autograph. 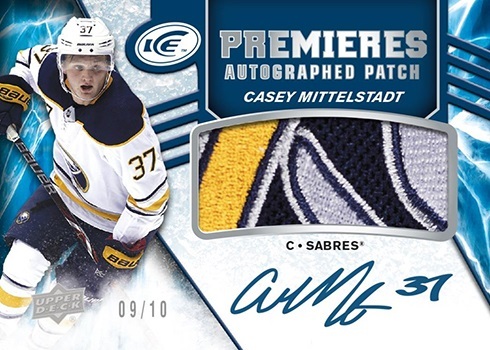 Sticking with the premium cards is either a memorabilia card or one of the year’s second Exquisite installments. And the Ice Premieres? They’re back with two of the numbered Rookie Cards in every six-pack box. Ice’s origins reside in acetate. That’s not changing. 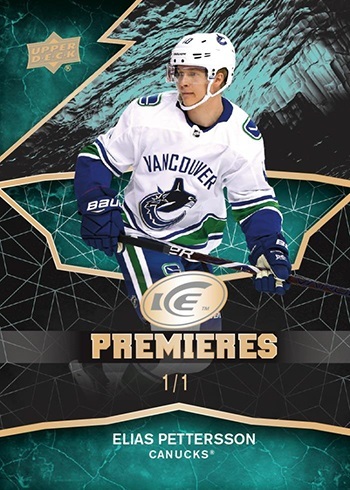 The 2018-19 Upper Deck Ice Hockey base set begins with a modest 50 cards. Parallels are available in three levels. Green are the most common with one landing in each pack. Red (/5) and Black (1/1) are on the scarce side. 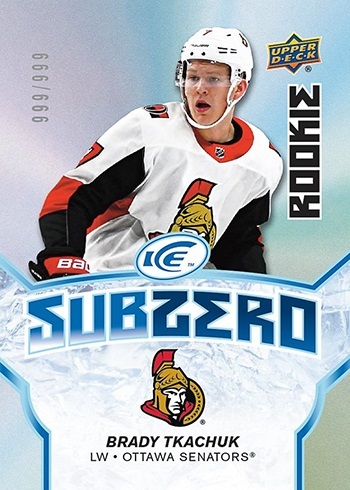 The Ice Premieres subset adds the Rookie Card content. Combining to fall every third pack, the checklist has five levels of varying rarities. Ice Premieres Level 5 cards have 1,299 copies and are the most common. Other Levels and quantities are Level 4 (/999), Level 3 (/499), Level 2 (/249) and Level 1 (/99). Traditional parallels are Retro (/149) and Black (1/1). Rookies also have some premium versions. 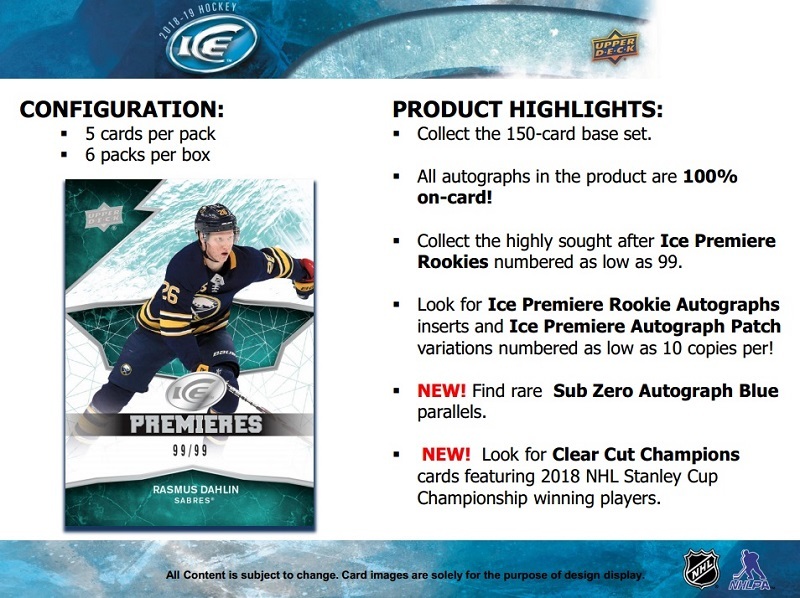 Ice Premieres Jersey cards are 1:12 packs. Autographs are numbered to 299 or less. Finally, there are Autograph Patch cards, which have just ten copies each. 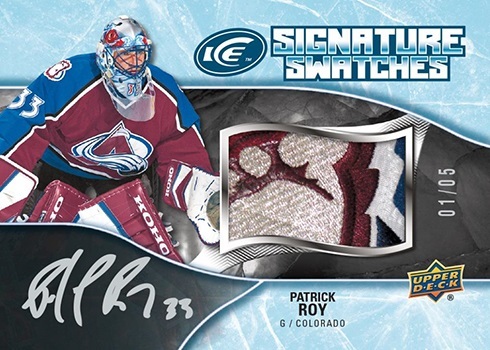 All autographs in 2018-19 Upper Deck Ice Hockey have on-card signatures. That means no labels. Among the standalone autograph inserts Rinkside Signings and Rookie Rinkside Signings. Both land 1:180 packs and have Red parallels numbered to 5. Glacial Graphs are 1:140 packs. Autograph Jersey Black versions come numbered to varying amounts. Other autographs include Superb Script (/49 or /25), Superb Script Portraits (/15 or /10), and Signature Swatches (1:120 packs). As for memorabilia, there are Frozen Foursomes (1:240) and Rookie Relic Jumbos (/199). 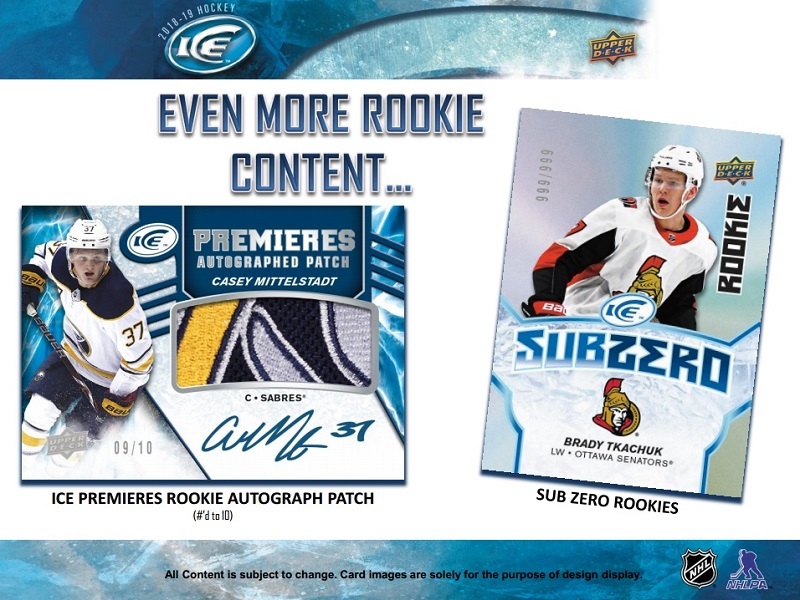 Sub Zero inserts are back with Stars (1:12), Rookies (/999) and Rookies Variants (1:240) versions. Stars also have Gold (/8) and Auto Blue (1:150) versions. Rookies have similar Gold (/24) and Auto Blue (1:60) parallels. Variant Gold cards have eight copies. These have Green Autographs (/25) as well. Boxes that don’t have a memorabilia card have a super premium Exquisite card. 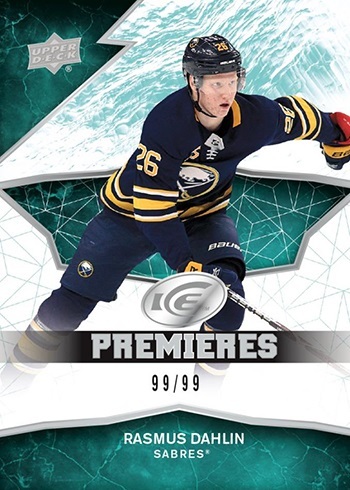 Ice is the second product of the season to carry cards from the brand, following up from 2018-19 Black Diamond. 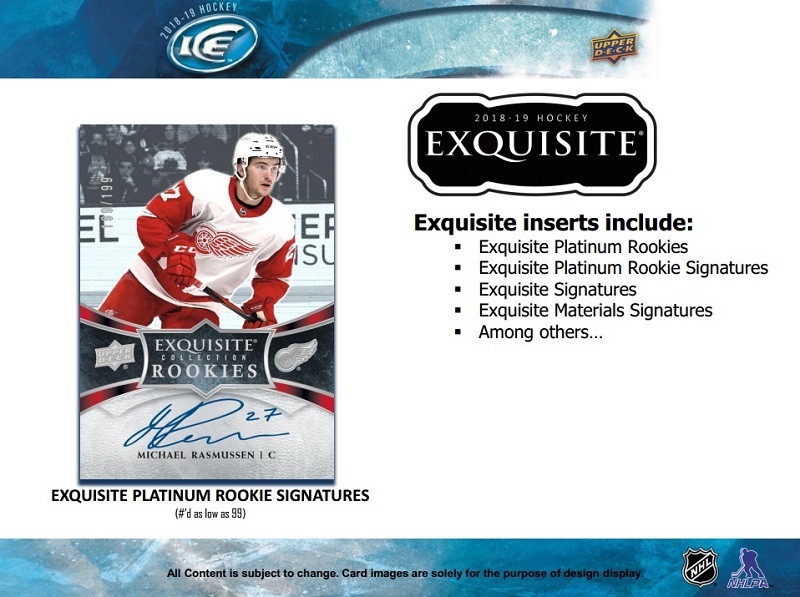 Exquisite Platinum Rookies are numbered to either 299 (Tier 1) or 199 (Tier 2). 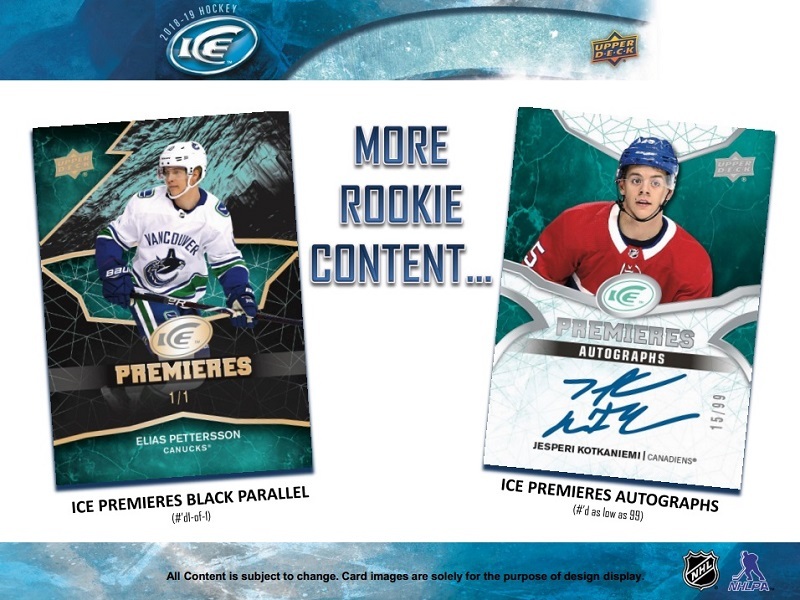 Platinum Rookies Signatures are tougher with 199 (Tier 1) and 99 (Tier 2) copies each. 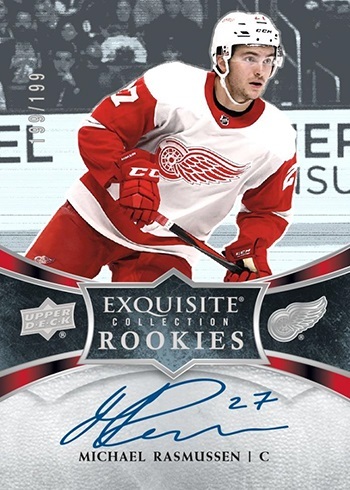 Other Exquisite cards available in 2018-19 Upper Deck Ice Hockey are Signatures, Material Signatures, and 2004-05 Exquisite Rookie Auto Patch Tribute (/25).